Get rewarded for doing more. 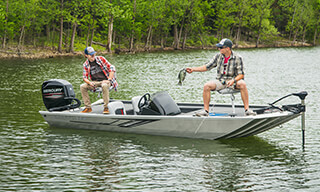 Angling Aces members will earn points for being active as an angler by volunteering, participating in tournaments, and much more. Points will go towards exciting Crestliner prizes. 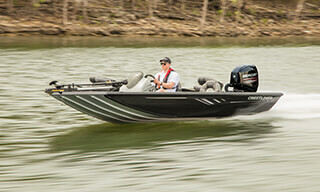 The angler with the most points by November 1st will be named Elite Ace. Get started today! 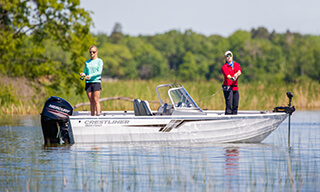 Buying a boat is exciting, and it can unlock a lifetime of memories, but buying the right boat for you is crucial. From price to size to configuration, there are a lot of factors to consider when you're looking to make a purchase. We've compiled the major factors you should weigh before you make the purchase. Buying your dream boat is within reach. And it'll be easier than you think. 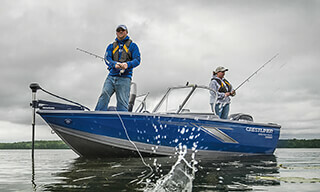 * STARTING AT price reflects MSRP on a base boat package, optional equipment not included. Monthly payments shown are based on listed package prices above and assumes 6.25% APR and a $1,500 down payment with a 12-year term. Offer available to well qualified buyers. Subject to credit approval; not all buyers will qualify. The payment amount shown and all prices are in U.S. Dollars and do not include dealer freight, prep, tariffs, fees, taxes and registration. Dealer sets the final purchase price. Offer applies to new 2019 models only. Subject to availability. See participating dealer for details. Available in the U.S. and Canada only.